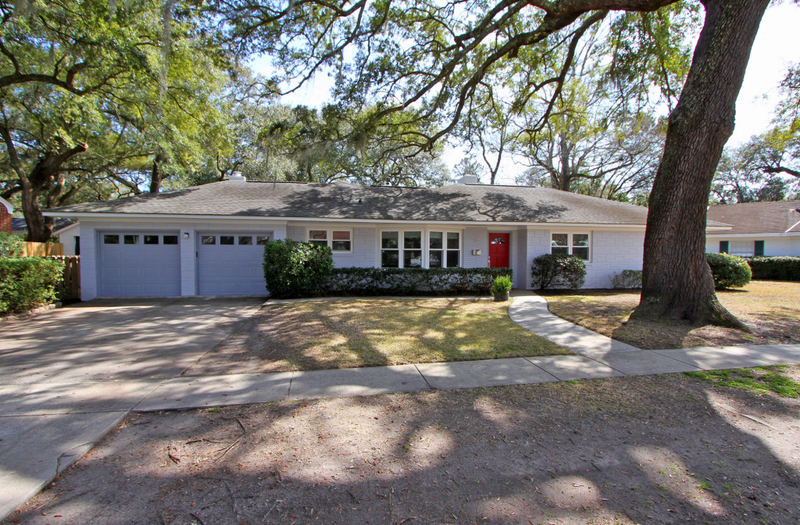 This renovated ranch home at 33 Moore Drive is located in West Ashley’s established Westwood neighborhood which offers easy access to downtown Charleston and Avondale. Walk to Mellow Mushroom or Al Di La for a quick dinner; pop over to The Roost to watch the game; or visit Oak Barrel Tavern for a glass of wine with friends. It’s all within walking distance from the home. Or if you feel like going downtown, its less than a 5 minutes drive. The home sits on a 0.31 acre lot dotted with mature trees to provide a large and shaded yard. 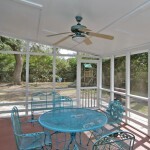 The backyard is completely fenced and includes a stone dining patio as well as a spacious screened porch with tall ceilings and a fan to keep it enjoyable year-round. 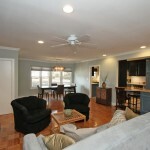 A great place to entertain family and friends! 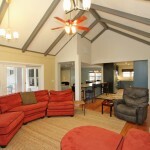 Inside, the home has an open floor plan which is warm and inviting. The dining room and living room are combined into one cohesive space which gradually opens into the updated kitchen and bar area. 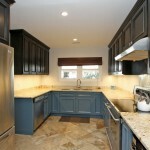 This updated space was renovated in 2013 and is a true highlight with high-end features such as custom cabinets, slate flooring, granite counters and stainless steel appliances. Just beyond the kitchen is an additional living space with vaulted ceilings, built-in bookshelves and a wood-burning fireplace. The home’s three bedrooms are well-sized and the master bedroom has an en suite bathroom which has been updated with a contemporary vanity, tiled shower and tile flooring. Another bonus room is currently being used as a home office. There is another full bath in the home along with an updated powder room and a large laundry room. For more information on this listing or to set up a showing, contact listing agent Elizabeth Dickinson.